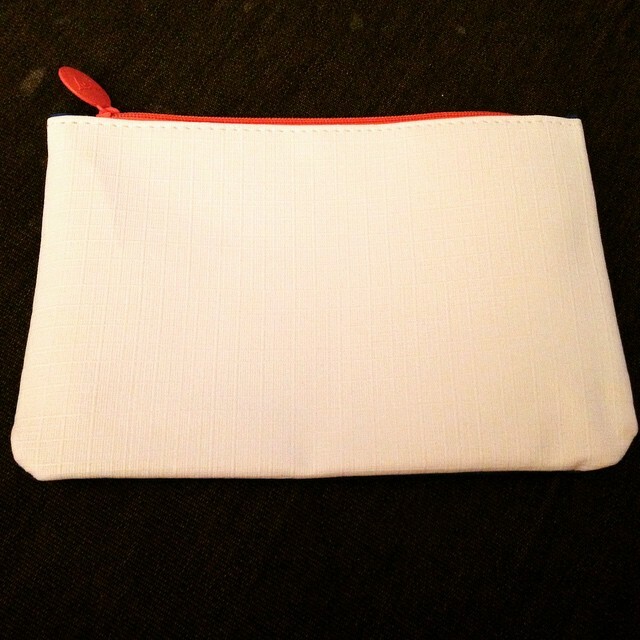 OMG I cannot believe that I almost forgot to blog about my January glambag. That is like breaking tradition, as I have blogged about every bag that I received. Thank goodness I remembered, cause I sure as heck do not want to find out what happens when one breaks tradition. It’s time to get fresh. That sounds like fighting words! Lets get fresh and down ladies. Anyways I love the theme for the first bag of 2015. It truly is a fresh start for all of us and especially our beauty routines. Tons of companies come out with new product lines in January, they know that we are all craving something fresh and new. New is always fun and hey if its fresh that works too. Especially if it is a new fresh start. This months bag is double sided, one side is white, it reminds me of a blank slate, and the other side is a pretty blue, which reminds me of the ocean. An ocean of possibilities. I was finally able to use my ipsy points, 500 total to be exact, and was able to snag a NYX Butter Lip Gloss in Lady fingers. It shipped with my January bag and it was a nice little extra. So yes, people really do reclaim their ipsy points for beauty loot. Bellá Pierre Shimmer Powder in Celebration: Using 100% pure Mineral powder, these beautiful shimmer powders will provide long lasting, vibrant color without any additional filler that can often smear, crease, fade and even cause allergic reaction. Elizabeth Mott All Over Shadow Brush: Don’t miss a spot with this ridiculously soft shadow brush. This brush with its 100% synthetic bristles is the perfect multitasker. Use it to highlight your brow bone and place the right amount of color for perfect and even application! La Fresh Eco-Beauty Be Good. Good Day. Day Moisturizer: This highly natural day moisturizer provides ample hydration and helps bring back a fresher & happier looking skin appearance. Pacifica Natural Mineral Coconut Eye Shadow in Ethereal: An incredibly innovative formula that pushes natural makeup and mineral color to new bounds. Rich, lasting, creaseless eye shadows are infused with coconut water for a velvety, cream-like finish. Probelle Into The Blue Nail Lacquer: Top quality, high gloss, long lasting nail lacquer in Into the Blue, a cool blue cream shade. DBP, Toluene, and Formaldehyde Free. January was a pretty great bag. I was able to try or give a home to all of the items this month. 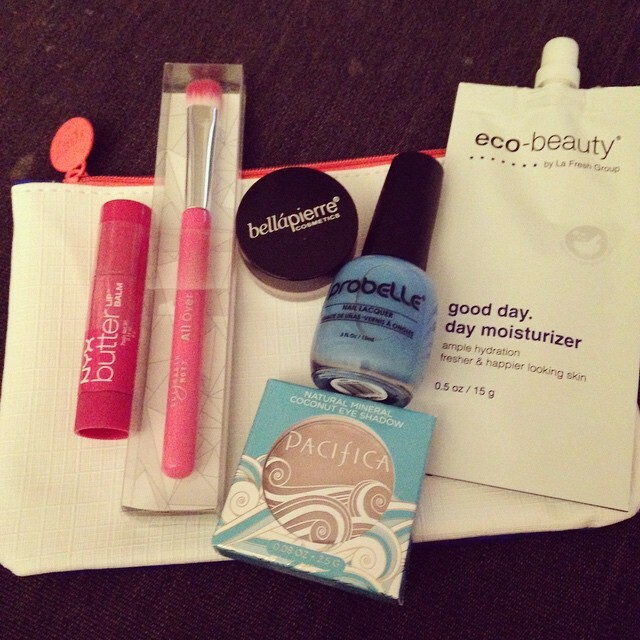 I loved the ipsy included a skin care item and a tool this month. I cannot wait to see what all of my 2015 glambags will hold.